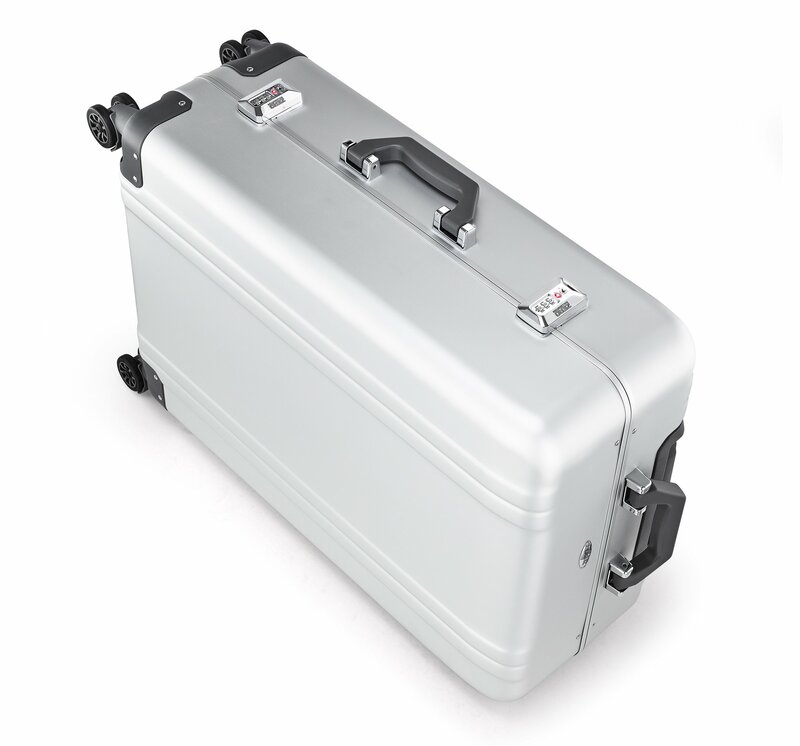 An homage to the original cases that made Halliburton Luggage an American legend, the Zero Halliburton Classic Aluminum 2.0 collection offers a refined solution for strength and security. 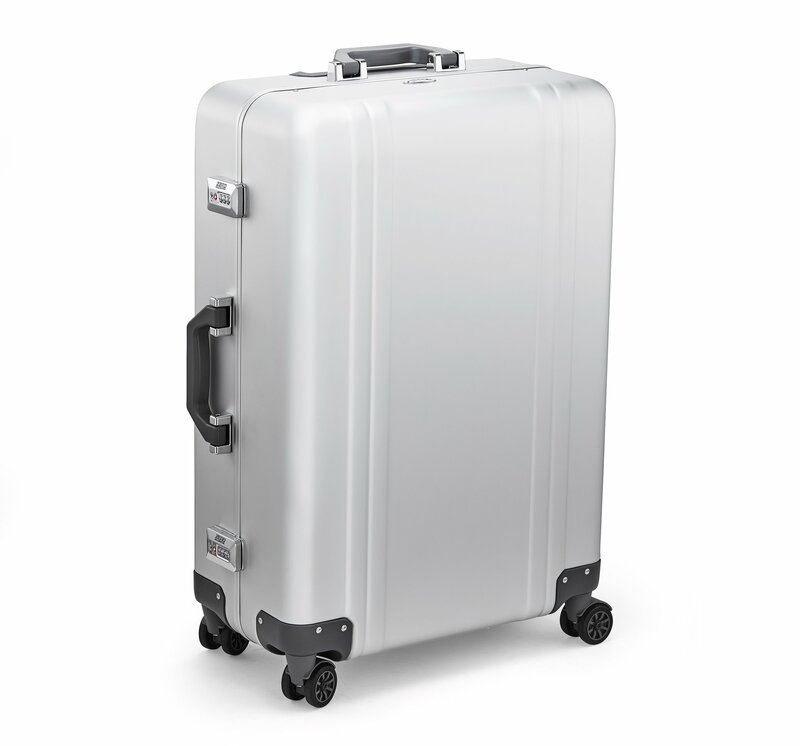 The timeless double-rib design enhances durability while rounded edges and vintage-inspired latches and handles give the cases elegant curb-appeal. 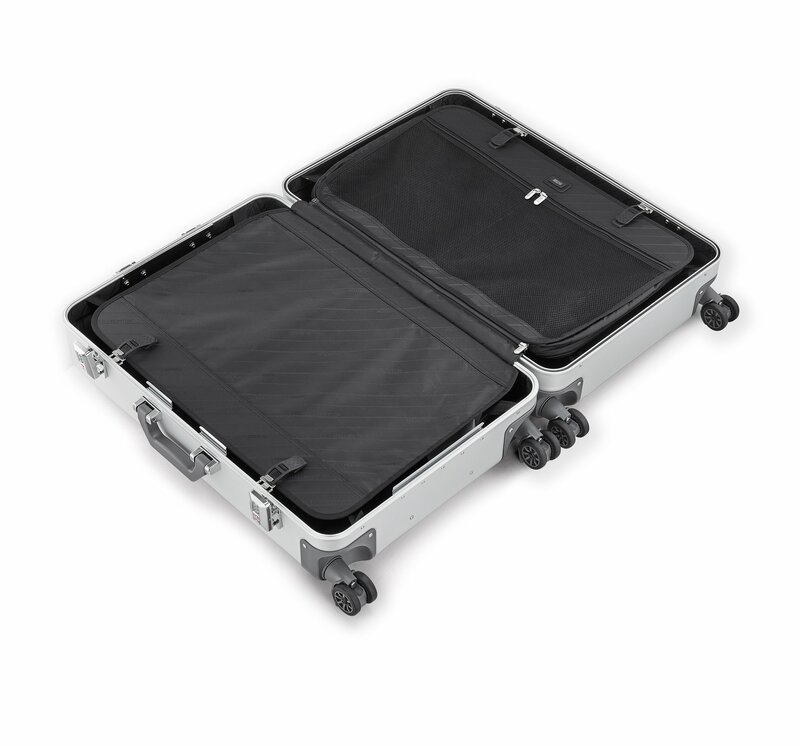 The new Zero Halliburton Classic Aluminum 2.0 - 26" 4 Wheel Spinner Luggage is constructed with a tough aluminum shell, custom designed draw-bolt latches as well as three digit TSA approved combination locks. Four wheel spinner design constructed with sealed ball bearings as well as a multi stage retractable handle that provides effortless mobility. The fully lined interior features privacy panels, compression straps and mesh compartments to organize your items and reduce shifting during travel.